Military, Commercial & General Aviation and Ground Support Specialists. Replacement units and subassemblies. A cost-effective way to manage the production of spec-compliant products, through manufacturing and assembly. A quick, simple, and secure purchasing platform for your every day consumer hardware items. Designed with convenience in mind. When time and manpower resources are limited, turn to WBParts for part searching, sourcing, purchasing and logistics activities. Our supplier network is comprised of AS-9120 and ISO-9002 Certified Manufactures and distributors, specializing in rotables, consumables and ground support equipment. Proprietary software systems link us to the inventories of thousands of manufacturers and distributors. 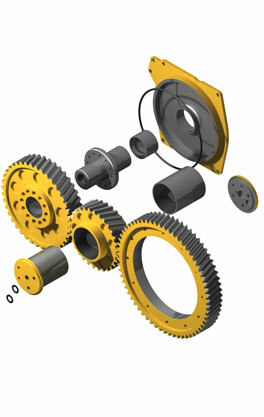 Internal software allows cross-referenceing military/commercial alternate part numbers quickly and efficiently. Specialties include military, commercial and most general aviation aircraft; structural components, mil-standard hardware and fasteners, test stands, and aircraft line replacement units and subassemblies. Highly experienced in import and export regulations and government purchase requests. Packaging specialists trained in military specifications and adherence to military standards including MIL-STD-2073-1 and MIL-STD-129. AS-9120, ISO-9001 and ASA-100 Certified Supplier. Additionally, WBParts proudly maintains an "Automated Best Value System" (ABVS) of 99.9% Quality Score with the US Government Defense Logistics Agency (DLA). Precision component, sub-assembly and end-product manufacturing solutions engineered by years of industry leadership and demonstrated performance. Provides a cost-effective solution for custom fabrication, complex builds and turn-key services for customer-specific products. Award winning customer satisfaction measured by thousands of repeat purchases from leading customers, governments, militaries and other organizations around the globe. Many companies aren't equipped to handle a wide range of manufacturing and assembling. If you need precision mechanical fixtures, hydraulic systems or complex cabling and harnesses, contact us about our services. This solution, accredited to FAA AC:00-568 standards, helps simplify part ordering, reduce cost of factory support, and reduce inventory... all while giving Kit Manufacturers a competitive advantage. These assembly level kits excel at shortening overall time-to-completion, while dramatically increasing the chance of project completion. Organization equals better end results... making building more fun and more fulfilling. MRO, FBO or A&P School? An expandable storage system, our Wicked Awesome Fastener Kits™ work great to simplify ordering by utilizing a QRCODE smart device re-ordering system. For consumable fasteners, configurable, with built in organization. 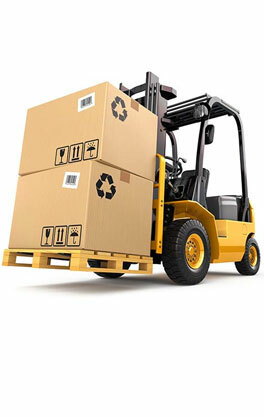 Full material certifications & traceability. 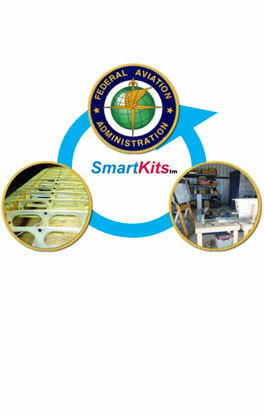 SmartKits™ unique re-usable manufacturing parts delivery system cuts down on waste, eliminating unnecessary packaging of individual components, as well as simplified and more efficient material ordering. Designed to make part selection easy and fast. Our AN Bolt selection guide and an industry first Multi Part Search Tool will have you on your way in record time. Most orders ship in 24 hours. Full trace, manufacturer & material test reports, applicable DFAR comliance statements, and a full certs package ship with every order. No additional cost to you. Over 15,000 hardware commodity and general aviation products available for fast check-out and delivery. 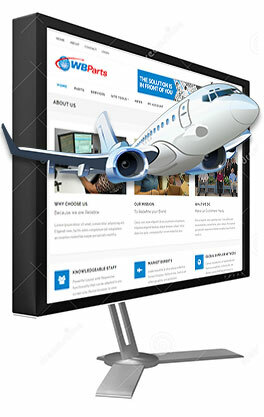 Airframe Parts, Airport Supplies, Electrical, Engine Parts, Hardware, Hoses, and Instruments. We have it all in stock and ready to ship. Service does not stop once an order is shipped. Any customer concerns that need to be addressed are handled quickly with professionalism. Customer suggestions and recommendations are always taken seriously and help us improve our business.